The Long Beach Police Department collected nearly 600 pounds of drugs at its drug take-back event. LONG BEACH, Calif. -- The Long Beach Police Department says its "Drug Take-Back" event was a success. 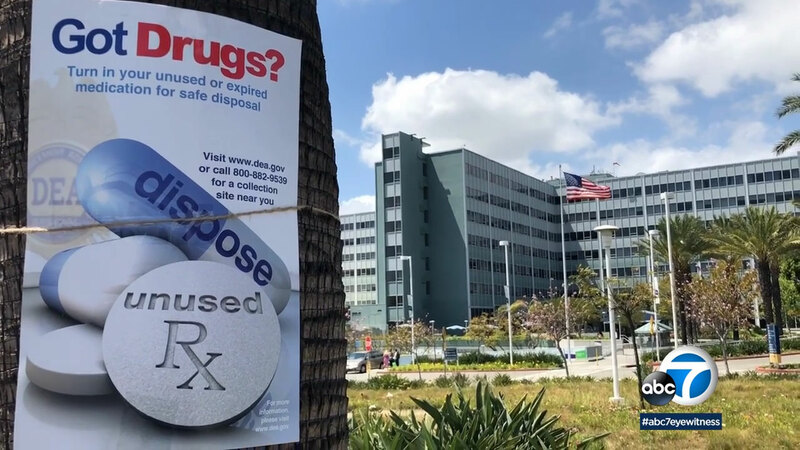 The LBPD teamed up with the Long Beach Medical Center to take part in the national day to dispose of prescription drugs safely. The LBPD says the free and anonymous drive-thru service collected 590 pounds of drugs from 91 cars. Organized by the U.S. Drug Enforcement Agency, the event is designed to encourage people to empty out their medicine cabinets of expired and unused prescription drugs and prevent pill abuse and theft.